This Heirloom iceburg variety is pleasingly crisp with excellent heat tolerance. A garden favorite for over 100 years! 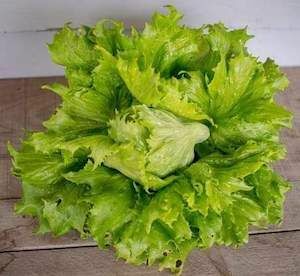 All our 'Ice Queen' Lettuce Plants are organically grown and shipped in fine quality growing medium.They are guaranteed to arrive alive and ready to plant.